This article is the Jirst part of a serial which will address the many theories regarding the origin of Pa Kua Chang. 1) Tung Hai-Ch'uan developed Pa Kua Chang after learning Yin Yang Pa P an Chang from Tung Meng-Lin. This version of Pa Kua's origin was published in the 1937 text Yin Yang Pa Pan Chang Fa written by Jen Chih-Ch'eng. 2) The Unofficial History of the Indigo Pavilion (published in 1818) talks about eight direction stepping. Li Kua and K an Kua as Pa Kua that was popular prior to Tung Hai-Ch'uan (pre-1813). From the writing in this text, some have deduced that this Pa Kua was the predecessor to the Pa Kua Chang taught by Tung. Professor K'ang Ko-Wu, a well known martial arts researcher and historian in Beijing, thoroughly investigated Pa Kua Chang's origins for his Masters degree thesis. 3) Tung Hai-Ch'uan learned his art from Pi Ch'eng-Hsia on Chiu Hua (Nine Flower) Mountain. A discussion of this theory would also include any of the various stories about Tung learning from an "unusual person in the mountain fastness." When the Pi Ch'eng-Hsia theory is examined in this article, we will include popular theories regarding other Taoists that Tung might have learned from. 4) Tung Hai-Ch'uan was the founder of Pa Kua Chang. The individuals who subscribe to this theory believe that Tung spent his youth learning other martial arts and invented Pa Kua Chang based on his early experience combined with a circle walking meditation practice he learned from a Taoist. In addition to the theories mentioned above, some take Pa Kua Ch'uan (other boxing styles which have the name Pa Kua) that was not taught by Tung as Pa Kua Chang (for example, there is a Shaolin-like art in Henan called Fu Hsi Pa Kua and another in Shantung called Shaolin Pa Kua). Then there is also the other arm of Pa Kua (Tien Family Pa Kua), which the practitioners claim was hidden for over 400 years and such other versions of Pa Kua's origins. Because the exploration of each of the theories listed above will be in-depth, this article will be presented in serial over the course of several issues of the Pa Kua Chang Journal. The primary source of this information is taken from the work of Professor K'ang Ko-Wu of Beijing. While working on his master's degree in 1980-81, Professor K'ang wrote his thesis on the "Origins of Pa Kua Chang." When I visited with K'ang last year in Beijing, he gave me a copy of his findings and the translation of his report forms the foundation of this article. Professor K'ang's research was extensive and involved close examination of over 650 documents from the Ch'ing Palace history books and over 230 papers written on martial arts. He also examined the situations of 413 teachers in 24 provinces and cities, personally investigating in 16 cities and counties and 9 provinces. K'ang interviewed over 256 people resulting in over 274 documents. Many of the people he interviewed were elderly boxers of the older generation who spoke openly about their martial art. While conducting his research, K'ang was a motivating force in the elTort to restore Tung Hai-Ch'uan's tomb and participated with over 400 others in the unearthing and moving of the tomb. Although the research conducted by K'ang Ko-Wu was fairly thorough, there are some conclusions he arrives at in his final analysis that I would not be so quick to make. In his summary. K'ang concluded that it was Tung Hai-Ch'uan who originated Pa Kua Chang (theory 4 above). His reasons for discounting some of the other theories (theory number 3 in particular) are weak in terms of the standards of scholarly logic we are accustomed to in the West. When these points arise in the article, I will discuss why I think K'ang has jumped too hastily to his conclusion. My own research into Pa Kua's origins, which includes examination of documents written by those with an opposing view to K'ang as well as interviews with Pa Kua Chang practitioners in the United States. Taiwan. Hong Kong, and Mainland China, leaves me with unanswered questions and thus no conclusion concerning Pa Kua Chang's true origins. Throughout this article I will try to present both sides of the story and let the reader decide for himself where Pa Kua Chang originated. The first theory we will examine is the one which claims that Tung Hai-Ch'uan learned Yin Yang Pa P an Chang from Tung Meng-Lin and then created Pa Kua Chang. In recent years, there have been books published on martial arts in both China and abroad which rely on the account of Pa Kua Chang's origin given by Jen Chih-Ch'eng in the forward and preface of his 1937 publication Yin Yang Pa Pan Chang Method. Jen's version of Pa Kua Chang's origin claims that Tung's Pa Kua Chang was developed from Yin Yang Pa Pan Chang. In his study. Professor K'ang Ko-Wu researched this claim thoroughly and found it to have no basis in fact. Kang began his investigation by looking into the source of the information found in the forward and preface of Jen's book. 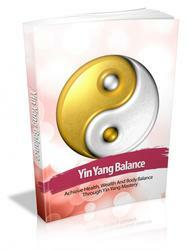 Yin Yang Pa Pan Chang Method contains five forwards given by five associates of Jen. and then Jen provides a preface which gives an account of his teacher and the origins of his method. The first preface, by Wang Hsiang-Tung states that "This past summer, I met Jen Chih-Ch'eng at the home of Lu Yu-Ting. Jen told me "I learned Li Chen-Ching's system from the time I was young." Jen Chih-Ch'eng was a second generation student of Tung Meng-Lin and the method was called Pa P an Chang." The second forward was by Yang Tung-Yuan and it reads, "In the summer of 1936,1 was studying in Tientsin and was introduced to Jen Chih-Ch'eng of Wen An county by Chang Li-Tsun. We met at the Fu Hsing guest house where I saw his book Yin Yang Pa Pan Chang Methods. We spoke on several occasions about the history of martial arts. It was then that I learned that his teacher was Li Chen-Ching and that Li Chen-Ching and Tung Han-Ching were both students of Tung Meng-Lin." Jen's statement in the preface to his book concerning his teacher's age was a great exaggeration. Jen Chih-Ch'eng, author of Yin Yang Pa Pan Chang Fa. Did Pa Pan Chang preceed Pa Kua Chang or did he invent the story? The other three forwards to Jen's book were written by Lu Yu-Ting and Chang Yu-Tsen. the two individuals who introduced Wang and Yang (the authors of the previous two forwards) to Jen. and by a friend of Jen's named Yang Hsiang-Pu. Yang Hsiang-Pu's forward does not mention the origins of Yin Yang Pa Pan Chang. If we look at these five forwards, we are struck by two points. The first is that the old friend does not mention the origins of Pa Pan Chang in his forward and the second is that all of the mentions of lineage are from people who have recently come to know him. This cannot but raise suspicion. If we want to conduct a closer examination of the origins as stated by Jen, we have only his own preface to go bv. In Jen's preface the story of the origin of his system rest on two key people, Tung Meng-Lin and Li Chen-Ching. In order to validate Jens claims. Professor K'ang investigated the background of both these men. Pa Kua instructor Sim Hsi-Kun, a student of Ch'eng Yu-Lung, published his book The Genuine Pa Kua Chang Manuevers in 1934.
who was "extremely old" would not be less than 70. K'ang proceeded to investigate the true age of Li Chen-Ching. Professor K'ang visited Li Chen-Ching's hometown in Pa county and spoke with the daughter-in-law of his nephew. Kao Tsai-I (who was 83 when K'ang visited her in 1980). his grand nephew, Li Pao-Chen (who was 60), and his clansman Sun Feng-Ting (who was 83). K'ang discovered that Li Chun-Ching and his younger brother Li Chen-Shan were about three years apart in age and his younger brother had a wife who was three years younger than her husband. Li Chen-Shan's wife died in 1945 at the age of 84. which would have placed her year of birth at 1861. From this we can formulate that Li Chen-Ching was born in 1855. In 1890. when Jen Chih-Ch'eng was 13. Li Chen-Ching was 36, not an "extremely old" age by any standards. This indicates that Jen's statement in the preface to his book concerning his teacher's age was a great exaggeration. It is worth noting that in 1890, when Jen was studying from Li Chen-Ching, Tung Hai-Ch'uan had been dead for 8 years and by this time Pa Kua Chang had already found wide popularity and appeal in Beijing and areas south of the city. Another claim that Jen Chih-Ch'eng makes in the preface to his book is that Li Chen-Ching's uncle had been the manager of a security company and when Li was 16 he began working with his uncle as a bodyguard. Jen goes on to state that when Li was 17, he went with his uncle to the south of China and during his travels they came to Tung Meng-Lin's homestead. When Li met Tung he begged to be accepted as a student. After studying with Tung, Li traveled all over China in the employment of the security company and made martial arts acquaintances where ever he went. When Professor K'ang asked Li's three relations in Pa county about this story they admitted that although Li and his younger brother were both well known for their martial arts skill, Li Chen-Ching was killed in 1900 during the Boxer Rebellion. The story they told was that Li had been extremely nearsighted since his youth. During the Boxer Rebellion he joined forces with the Boxers against the foreigners. One day a group of soldiers entered Li's village. Thinking them to be a Boxing Regiment he yelled out "Brothers!" and ran forward to greet them. Unfortunately, the group he approached were foreign soldiers and as Li approached, they shot him. He was only 46 when he died. Professor K'ang could not find any evidence that Li had an uncle who owned a security company or that Li himself ever worked for a security company. Jen's claim that Li worked as a bodyguard and traveled throughout China seeking martial artists of mutual interest seems to be without foundation. Although Li was a boxing teacher, he died at the age of 46 in his home village. The next of Jen's claims that Professor K'ang investigated was the story that Li had received his name "Chen-Ching" from his teacher Tung Meng-Lin. Jen said that after Li left his teacher and went back to the north, Tung Meng-Lin said to him, "Several years ago there was another person from Wen An, a relative of mine, who studied with me, his name was Tung Han-Ching." This said, Tung gave Li the name Li Chen-Ching. K'ang states that when Jen published his book in 1937, it was the first time the term "Yin Yang Pa Pan Chang" had ever been used. According to Kao Tsai-I, Li's personal name was given to him by his family. His younger brother's name was Chen-Shan and they were of the Chen generation in the Li family. Another villager. 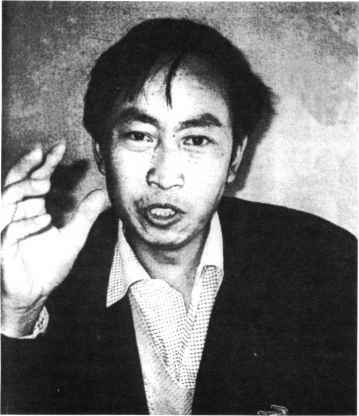 Chiang He-Feng (64 in 1980), who supplied K'ang with a portion of the village history, verified that Li was given his personal name by his parents. Additionally, it was insinuated that the Tung Han-Ching who Tung Meng-Lin mentioned was supposedly another name for Tung Hai-Ch'uan. K'ang conducted a thorough investigation of martial arts literature and found no reference to anyone named Tung Han-Ching who practiced Pa Kua prior to the appearance of Jen's book. Convinced that Jen Chih-Ch'eng had exaggerated heavily when providing accounts of his own teacher. Professor K'ang's next course of action was to investigate Tung Meng-Lin. In all of the research he conducted, K'ang did not run across any mention of a man named Tung Meng-Lin other than the stories told by Jen in his book. However, K'ang did find three sources mentioning the name Tung Meng-Lin (one from Hsu Yung-Hsiang who was a student of Jen Chih-Ch'eng, one from Hsu Yu-Chen of Nan Pu, and one from Kuo Hsu-Fan who had taken part in the 1911 revolution). All three of these gentleman stated that Tung Meng-Lin was the real name of a man who was called Pi Ch'eng-Hsia (also called Pi Teng-Hsia) of An Hui Province. As stated in the introduction to this article, one of the four major theories about the origins of Pa Kua says that Tung Hai-Ch'uan learned his art from a man named Pi Ch'eng-Hsia. This theory will be covered in detail in the next installment of this article. K'ang discovered that the two students listed in Jen's preface as being younger classmates of his under Li Chen-Ching were in fact Pa Kua Chang students of Liu Pao-Chen. In summarizing his research, Professor K'ang gives some strong evidence as to what may be the factual history of Yin Yang Pa Pan Chang and who Jen Chih-Ch'eng's real teacher must have been. When K'ang was conducting his research (1980-81) Jen Chih-Ch'eng had already passed away, however, the man who actually wrote the book for Jen, Kao Chih-K'ai was still living in Chen Chiu county in Hebei at the Liang Chao commune. Kao provided K'ang with the following story. In 1934 Sun Hsi-Kun's book, The Genuine Pa Kua Chang Maneuvers, was published. Jen Chih-Ch'eng, read this book and noticed that the postures in the book resembled the art that he practiced. Jen asked his student Kao Chih-K'ai to write a letter to Sun for him (Jen was probably illiterate). He thought that Pa Kua Chang practitioners should be all as one family and his intent was to meet Sun and discuss Pa Kua Chang in order to investigate the differences between Sun's style and his own. Sun never wrote back. Jen Chih-Ch'eng, who was 60 at the time, took his student Kao Chih-K'ai, who was then 30, to Tientsin to visit Sun Hsi-Kun*. When Jen arrived. Sun mistakenly thought that Jen was there to challenge him and without waiting for Jen to state his business. Sun began to change his shoes and prepare for a fight. Kao states that Jen did not square off with Sun, but beat a hasty retreat. * Sun Hsi-Kun studied Pa Kua Chang with Ch eng Ting-Hua's eldest son, Ch'eng Yu-Lung. The back side of the stele erected at Tung's tomb site in 1883 has a list of student names which includes the name Liu Pao-Chen. which stated that because Sun's book The Genuine Pa Kua Chang Maneuvers was already out, in order to avoid competition. Jen decided to name his book Yin Yang Pa Fan Chang Methods. Jen took the name for his book from an old saying "Pan Ch'uan Kuo Shou" which is a statement made to indicate two martial artists squaring off. K'ang explains that martial artists train to make their strength a unified entity, the feet following the hands, the vision clear, the mind settled, etc. When the practitioner has reached this unity he has "trained to fruition the six harmonies" and can then cross arms with the enemy. If a martial artists crosses arms with another martial artist it is called "Pan Ch'uan Kuo Shou." There are four upper Pan and four lower Pan. K'ang states this is where Jen got the term Pa Pan. Additionally. Jen used the Yin Yang theory of Pa Kua which divides the hands into yin and yang and force on either side into yin and yang. From this Jen called his art Yin Yang Pa Pan Chang. Kang states that when Jen published his book in 1937. it was the first time the term "Yin Yang Pa Pan Chang" had ever been used. ... the theories proclaiming that Yin Yang Pa P'an Chang preceded Pa Kua Chang or that Tung Hai-Ch'uan studied Pa P an Chang and then invented Pa Kua Chang are baseless. Having collected an overwhelming amount of evidence to indicate that the entire history of "Yin Yang Pa Pan Chang" was fabricated by Jen Chih-Ch'eng, the next question K'ang had to investigate was. "Where did the art depicted in Jen's book come from?" In order to answer this question. Professor K'ang again went back to examine the story Jen told in his book's preface. In the preface Jen listed others who he claimed had learned from his teacher Li Chen-Ching. Three students listed were. Liu Pao-Chen of the Red Temple area in Ku An. who was the most senior student: Chiao Yen-Chih, of Yun Chia Kou village in Pa county: and Su Ching-Tien who were junior to Jen. Investigating these names. K'ang uncovered the following information. Liu Pao-Chen (1861 -1922) was from Red Temple village and as a small boy he had studied Cluio Chiao (a martial art which employs a lot of kicking methods). Later. Liu took Tung Hai-Ch'uan as a teacher and studied Pa Kua Chang from Tung. On occasion he brought Tung to his home village to teach. This information was supplied by Liu's grandson and four others from Liu's home village. Not one to rely solely on word of mouth. Kang turned to written records. 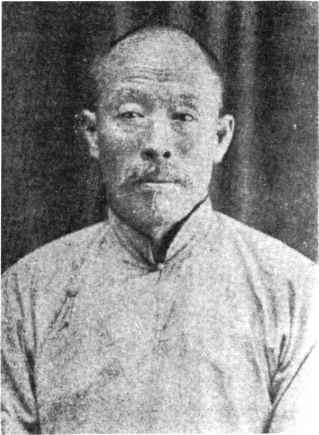 In 1942, in the records of Ku An county, volume 3, there is a notation which says that Liu Pao-Chun was a native of Red Temple village and a skilled martial artist who had learned his martial arts from the famous Tung Hai-Ch'uan. To finally put the subject of who Liu learned from to rest, Kang turned to the original stele erected at Tung Hai-Ch'uan's tomb in 1883. Engraved on the back of this stone among a list of Tung's students is the name Liu Pao-Chen. From this evidence Kang concluded that Liu Pao-Chen had not learned his art from Li Chen-Ching. but from Tung Hai-Ch'uan. Through further investigation K'ang discovered that the two students listed in Jen's preface as being younger classmates of his under Li Chen-Ching (Chiao Yen-Chih and Su Ching-Tien) were in fact Pa Kua Chang students of Liu Pao-Chen. At this point in his investigation K'ang wondered what Liu Pao-Chen's Pa Kua Chang might have looked like. His research indicated that the characteristics of what Jen Chih-Ch'eng practiced were very much the same as what Liu Pao-Chen taught as Pa Kua Chang. For example, Jen's walking posture was the same as Liu Pao-Chen's "Tying up the ankles" leg maneuver. Jen's "Ying Yang Palm" is the same as Liu Pao-Chen's free fighting posture which he practiced as a basic palm. Additionally, it was known that Liu Pao-Chen was especially skilled at broadsword. Jen stated in his book that there were 18 weapons and each had their own unique characteristics. He went on to say that, ". . . as for weapons, I do not know well, with the exception of the broadsword, which I am well acquainted." In summary. K'ang explains that Tung Hai-Ch'uan passed away in 1882, Liu Pao-Chen lived from 1861-1922, and Jen Chih-Ch'eng from 1878-1967. Jen said he started learning martial arts when he was thirteen (1891). At this time. Liu was 30 and had already been teaching the art he learned from Tung. In addition, at the time when Jen was studying his marital arts, his father, Jen Ching-Shan. was working in Jen Chiu County in the constabulary. Liu Pao-Chen was working in the Ku An constabulary. The two certainly saw each other frequently and had good relations. K'ang established that Jen's classmates Su Ching-Tien and Chao Yen-Chih were students of Liu Pao-Chen and drew the conclusion that Jen also learned Tung Hai-Ch'uan's Pa Kua from Liu Pao-Chen. Jen took the Pa Kua he knew and changed its name when he published his book in 1937. K'ang ends the section on Yin Yang Pa P an Chang by stating that the theories proclaiming that Yin Yang Pa P an Chang preceded Pa Kua Chang or that Tung Hai-Ch'uan studied Pa P an Chang and then invented Pa Kua Chang are baseless. Although Kang's case against the Yin Yang Pa Pan Chang theory seems to be open and shut considering the evidence he collected, there is always another side to the story. As you might imagine, those who take exception to K ang's findings are the Pa P an Chang practitioners from Jen Chih-Ch'eng's lineage. In 1991. California-based Pa Kua Chang instructor Adam Hsu visited with Ren Wen-Zhu, a Pa Pan Chang practitioner from Wen An. Hsu's account of this meeting is given in the article on page 21 of this issue. The next theory we will examine states that Pa Kua Chang originated long before Tung Hai-Ch'uan was born and bases this theory on a dialog which appears in the Unofficial History of the Indigo Pavilion. Although this theory, like the last, is probably not valid, it does bring up some interesting points regarding the secret societies in China and how one may easily confuse Pa Kua Chang with another art or organization which shares the name "Pa Kua." "In the spring of Keng Wu, Niu Liang-Ch en saw Feng practicing his boxing, which had a method of eight steps, and Niu said, Your stepping is in accordance with Pa Kua.' Feng queried, 'How do you know?' Niu replied, T practice K'an Kua.' Feng said, T practice Li Kua.' Niu said, I am K'aru you are Li, together we are the intersection of Li and K'an'"
In recent years, some believe that references to eight steps, Li and K'an Kua are early references to Pa Kua Chang. Others claim that what he was practicing was Pa Kua Ch'uan (some other form of Pa Kua boxing, not related to Pa Kua Chang) and have mistakenly placed him in the Pa Kua Chang histories. What then are Pa Kua, Pa Fang Pu, Li Kua, and K'an Kua? Professor K'ang Ko-Wu provided some theories. When Professor K'ang investigated the history of Pa Fang Pu, or eight direction stepping, he concluded that this method originated with the Mei Hua. or "Plum Blossom," boxing system. In his report he states, "What Feng K'e-Shan practices as Pa Fang Pu is from the Mei Hua boxing system." As we've seen from the above, Feng had learned from Tang Heng-Tung of Chu Chou village. Hua County. This is documented in the records found in the palace museum library. 16th day. 12th month, 18th year. Chia Ching Emperor. According to this record. Tang Hu-Tzu, also known as Tang Heng-Tung. was a native of Chu Chao village, 62 years of age, sells medicine, no particular religion, and spends his free time practicing Mei Hua Ch'uan. He is a student of Ch i Ta-Chuang from the same village. Chi passed away in the 51st year of the Chien Lung Emperor." The record also states that Feng K'e-Shan was a student. This record is in the military region records under the peasant rebellions (records from the peasant uprising which the Pa Kua Chiao. or Pa Kua religion, took part in). A Ching Dynasty era cartoon shows two T'ai Ping rebels arrested in Shanghai with a document concerning T'ai Ping activity on Chiu Hua Mountain is quite abundant. Among the forms are five postures. Pa Fang Pu, and so on. K'ang concluded that the above information proves that what Feng practiced was Mei Hua boxing. Additionally, in 1981, K'ang received a report from Tsung Chin-He that said a special characteristic of the low. powerful, stepping set that is done in the "ting" step (ting pu). In the same year, July. K'ang went to Chu Chiao village to institute a confirmatory investigation and saw that what Tsung had reported was true. The elder boxer Wu Ching-Yun performed Pai Pu. 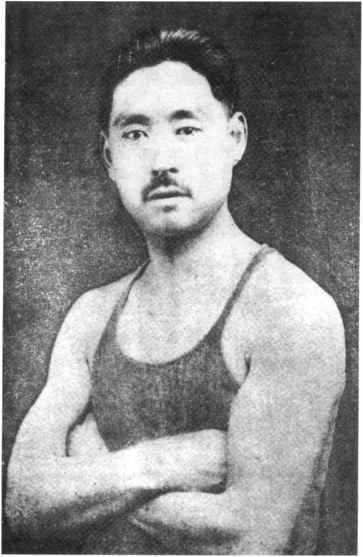 Ken Pu. Chung Ch'uan with follow step, punching while retreating and turning the body. 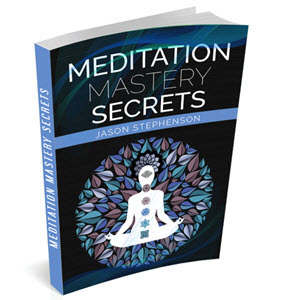 While executing these movements he continuously turned to four corners and eight directions. Kang said the this is not the same as walking the circle as a basic training device as in Pa Kua Chang. Additionally, on the 12th day, 1st month, 19th year of the Chia Ching Emperor, Feng said that he became a member of the Li Kua Chiao (Li trigram sect of the Pa Kua religion) in Hua county, Henan in 16th year of the Chia Ch'ing Emperor (1812). When the former head of Li Kua, Wang Hsiang passed away from illness, Feng was appointed head of the sect. Feng states, "Because people who followed me were numerous, they made me the head of the Li Kua." "In the first month. 13th year of Chia Ching, I entered the sect in the Inn of old Mrs. Ma. It was then that I made the acquaintance of Lin Ching and I heard him discourse on the true nature of the religion and I wanted to join his sect. In the 8th month. Lin Ching closed up shop and went home. I went with him to his home in Sung family village and he passed his transmissions on to me. I there upon entered as a disciple of Lin Ching." As we can see. Feng practiced Li Kua and had studied under Wang Hsiang to enter the Li Kua sect of the Pa Kua religion. Niu practiced under Lin Ching entering the K an Kua sect. What they spoke of as Li and K an Kua was not related to boxing. In China, during the Ming (1368-1644) and preceding dynasties, a number of religious sects arose which became "secret societies." These societies, made up primarily of poor merchants, artisans and peasantry, were sources of opposition to the dynasty. Their popular religious beliefs opposed the orthodox beliefs and their political efforts were directed against the dynasty. One of original secret societies was the well known White Lotus, or White Lily (Pai Lien Hui), Society who led the boxer rebellion. Others were the Hung Men. the Red Eyebrows, the White Turnbans, the Red Spear, the Small Sword, etc. A number of these secret societies were involved in leading peasant revolts against the Ch'ing during the early to mid- 1880's. 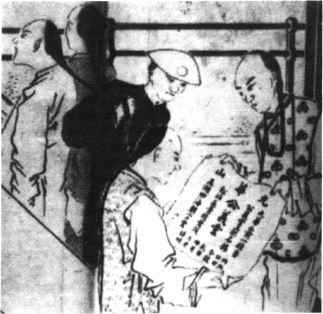 Interestingly enough, the Ch'ing dynasty era cartoon shown on the previous page depicts two Tai Ping rebels being arrested in Shanghai with a document which concerns Tai Ping activity on Chiu Hua mountain. The theory of Pa Kua's origin which states that Tung learned from the Taoist Pi Ch'eng-Hsia says that Tung learned from Pi on Chiu Hua mountain. This fact, combined with Li Tzu-Ming's theory (described in the article on page 2) that Tung went to Beijing as a covert operator for the Tai Ping is an interesting coincidence. Other sources also claim that Tung was involved in peasant rebellions and worked to help over-throw the Ch'ing. The majority of these uprisings were led by the secret societies and thus Tung could very well have had a connection with one or more of these sects. I do not claim that any of these theories are valid, but the coincidence is interesting to note. The philosophical and religious precepts which the majority of the secret societies followed came from a mixture of folk religion, Taoism, and Buddhism. Some societies leaned heavily to the Taoist side, while others had more of a Buddhist orientation. In their book. The Hung Society (1925), J. S. M. Ward and W. G. Sterling describe in detail the intricate, ritualistic and ceremonial hand and body movements performed at meetings of the Hung Society. All of the early societies had similar ritualistic movements and it would seem that this is what Niu Liang-Ch en and Feng K'e-Shan were referring to when they discussed practicing the Li Kua and K an Kua. The Pa Kua society is still active today and thus there are students who confuse the philosophy and practice of the Pa Kua Chiao with Pa Kua Chang because they hear the name "Pa Kua." Since the Pa Kua religion includes meditation techniques and ch'i kung as well as hand postures and body movements which are associated with the eight trigrams, it is perhaps easy to become confused. Any system which does not include combat forms and training for martial application is probably suspect. In his conclusion to the section on Pa Fang Pu, Li Kua and K an Kua Professor K'ang Ko-Wu stated that they were not related to Pa Kua Chang and thus we cannot take these as evidences of Pa Kua Chang's early origins. While I agree with his overall conclusion, I am disturbed by his statement that the eight direction stepping is exclusive to Mei Hua boxing and is not part of Pa Kua Chang because it "is not the same as walking the circle as a basic training device as in Pa Kua Chang." Professor K'ang does not take into account the systems of Pa Kua Chang which do include eight directional stepping and straight line sets, Hou Tien Pa Kua Chang, as a basic training device. The systems which do practice straight line sets will be discussed in detail in the next installment of this article in the section which examines the theory of Tung Hai-Ch'uan learning from the Taoist Pi Ch'eng-Hsia. Who invented pa kau cheng? Why number eight pa kua chang? Is pakua chang really worth learning?